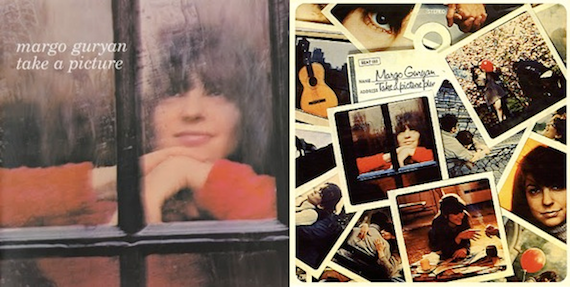 Today’s confection: Margo Guryan’s 1968 platter of orchestral pop, Take A Picture. We’ve waxed on Guryan’s excellent 25 Demos collection here in the past, but Take A Picture further succeeds in taking the singer-songwriter and placing her compositions within a smart pop context not dissimilar from the headspace Brian Wilson and Van Dyke Parks were working in around the same time. Think: sunshine pop meets vaguely psychedelic arrangements sans a good bit of the residual pap that tends to date and mar so much of the era’s work. Below are a pair of tracks from the LP I chose for their dissimilarities. The first exemplifies the more “straightforward” tone of the album, whereas the second, “Love,” sounds as if it wants to blast off into the ether entirely; just barely holding on. Not surprisingly, much of the album tends to meld the two extremes. love her take on the wedding favorite, bach’s “jesu, joy of man’s desiring” in the song “someone i know”…. The singer is called Shula Hen, a pop star in the late sixties. the album it is taken from is a pop classic in Israel and this song is MEGA famous.